Simply saying that I love to garden would be a huge understatement. On most days, I can easily spend at least an hour tending to my plants and picking weeds. I find it therapeutic and love to watch my plants grow and vegetables take form. When I garden, I really don't like to wear gloves, even though my husband lovingly insists that I should. I can feel the plants better without them. It always disheartens me when I'm picking weeds and pluck out a baby hosta, fern, or some other "keeper" by mistake. This usually only happens when I'm wearing gloves. 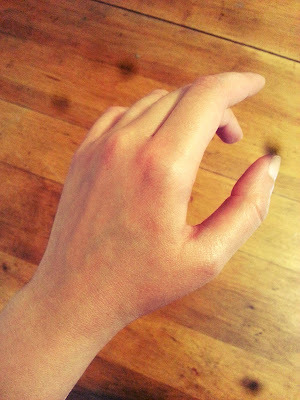 All of this glorious gardening really takes a toll on my hands. Who knew that soil was so drying? From cuts and scrapes to chapping and extremely dry palms that crack. So, I came up with a simple little concoction that works wonders on my poor hands and I hope that it will help yours too. The best part is that the ingredients are basic and you likely already have them in your home. - 1 tsp Coconut Oil. Nutiva is my favorite. 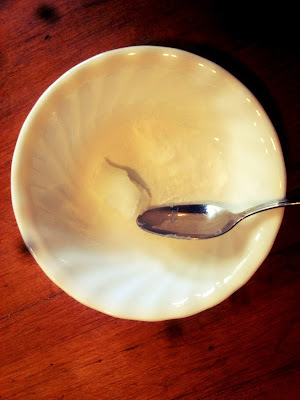 Mix the coconut oil and baking soda together in a small bowl. 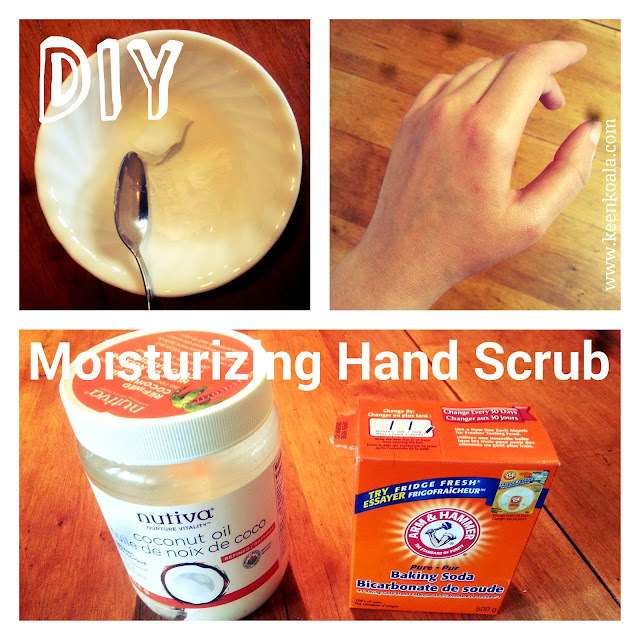 Once combined, scoop the mixture into your hands and rub into your skin as if you were applying lotion. Rub gently and thoroughly for 30 seconds or so, paying extra attention to your problem areas. Rinse with warm water and then dry hands with a soft towel. 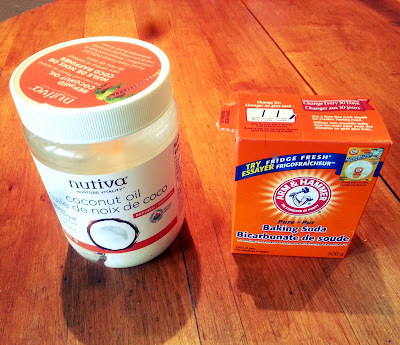 Allow any remaining coconut oil to soak into your skin. *Variation: Feel free to add a drop or 2 of your favorite skin-safe essential oil to add a lovely scent. This scrub leaves your hands well moisturized and silky smooth. I love to use it at the end of a long day. Have you tried this tutorial? Let me know how it worked for you, I'd love to hear from you.